Mark your calendars now because Mother’s Day 2016 is right around the corner. Sunday, May 8 is the day to treat your mama with all the love and attention she deserves. If you happen to be in Alaska or the Yukon for this holiday, we think you’re really in luck, because no matter what type of mom you’re celebrating we’ve got the perfect day waiting for you. Your mom has likely cooked for you your whole life; at minimum you owe her a delicious meal on her special day. 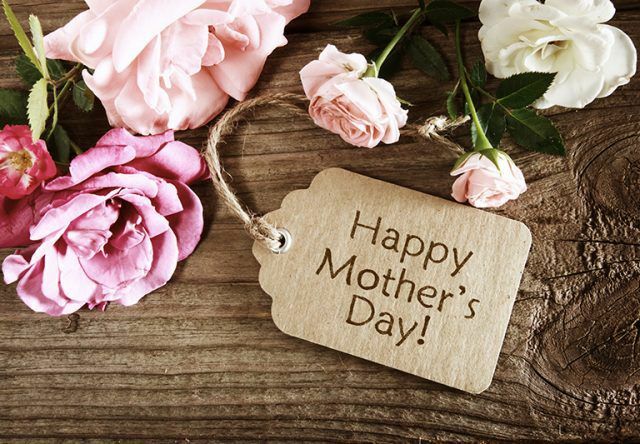 Start the morning with Mother’s Day Brunch at the Westmark Fairbanks Hotel and Conference Center. From 10 a.m. to 2 p.m. there will be live music and a delectable buffet with choices like bananas foster flambé, eggs Benedict, steamed mussels, made-to-order Caesar salad with Alaska salmon and a fountain of rhubarb lemonade. Kids younger than six eat for free and there’s even a chance to win an exciting gift basket. It sounds like a great deal to us! Maybe a day of shopping in downtown Anchorage is more your mom’s speed. The Westmark Anchorage Hotel is just steps away from some of the most fun and fabulous fashions in the state. Check out Shuzy Q, a funky local shoe boutique with the cutest kicks around. For high-end and unique styles, stop by Blush or Her Tern, a couple of favorite boutiques that carry carefully selected, quality products with some Alaska flavor. If you’ve got a mountain mama, we recommend a Mother’s Day hike. Should you happen to be in Whitehorse, try Fish Lake trail, a fairly easy 2.5-hour hike just a few miles from town that the whole family can enjoy. The hike offers great views of Fish Lake, Bonneville Lakes and the Boundary Range once you climb above the tree line. Another great day hike is M’Clintock West Ridge, where hikers can see beautiful views of the Yukon River, a must-see in Yukon Territory. One of our all-time favorite destinations is the Alaska Wildlife Conservation Center, a fantastic place that provides care and plenty of room to roam for displaced wild animals. If your mom is an animal lover, this is the place to take her. You can embark on a narrated tour of the grounds, meet the animals and observe lynx and brown bear feeding. Don’t forget to sweeten the day by surprising mom with a gift from the gift shop. Additionally, a trip to the incredible Alaska Zoo is always a hit and moms are free on Mother’s Day!